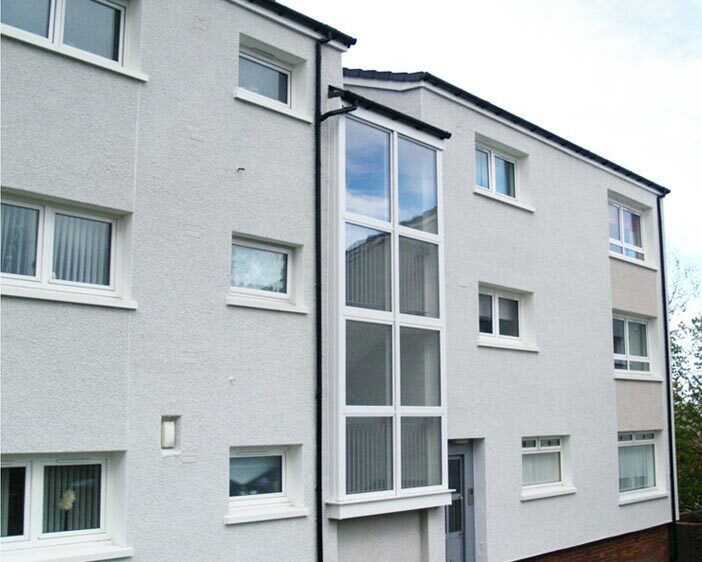 MAST Architects were appointed by Morris and Spottiswood to provide services in the refurbishment and upgrade of 100 units at the Mid Auchinleck estate in Port Glasgow. 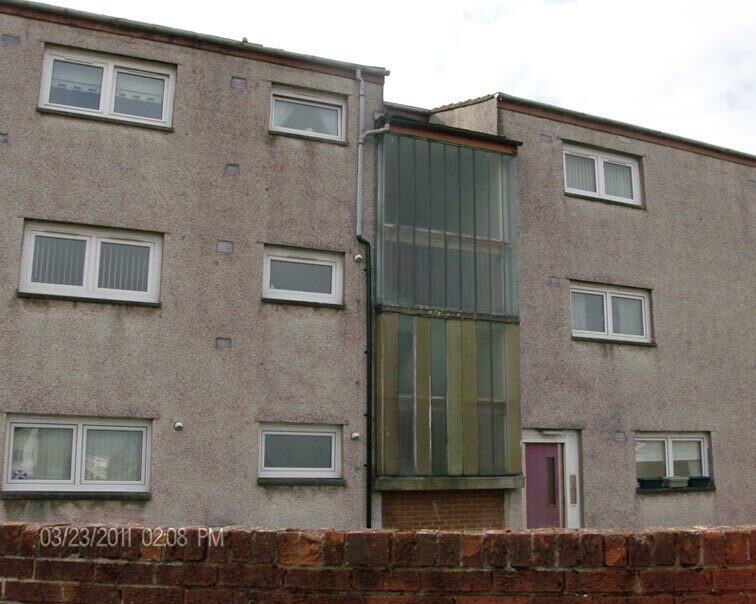 This project was a collaboration between Morris and Spottiswood and River Clyde Homes. Extensive and complicated, this refurbishment and upgrade involved the renewal of roof coverings and external porch canopies, as well as the installation of external wall insulation to improve the thermal performance and appearance of the existing blocks.